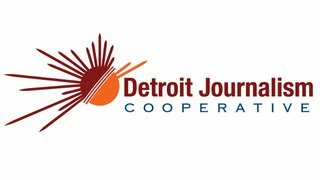 The MiWeek team discusses the future of Detroit’s neighborhoods with various community leaders. 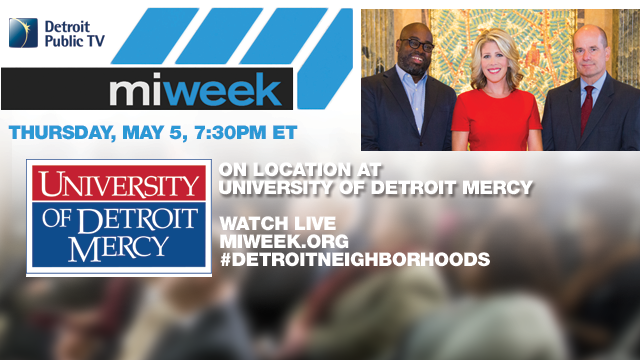 Special guests include Dr. Antoine Garibaldi, President of University of Detroit Mercy; Dan Pietra, Executive Director of the Detroit Collaborative Design Center at the University of Detroit Mercy School of Architecture; Rhonda Word Morris, owner of Lucki’s Cheesecake; Lauren Hood of Live6 Alliance; Kim Tandy, City of Detroit District 2 Manager; and Gaston Nash, College Core Block Club Co-founder. Panelists discuss a number of hot-button issues facing the city’s residents: newcomers versus long-time residents; inclusiveness; the cultural corridor compared to the economic corridor; and entrepreneurship. Broadcast live on 5/5/16 from the campus of the University of Detroit Mercy.